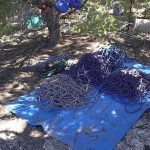 From time to time some of the RfR principals and other rope rescue enthusiasts get together for a bigger training project. 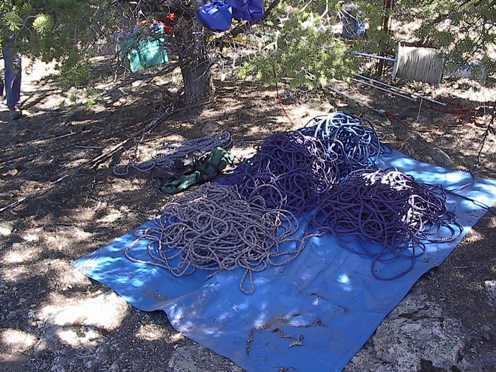 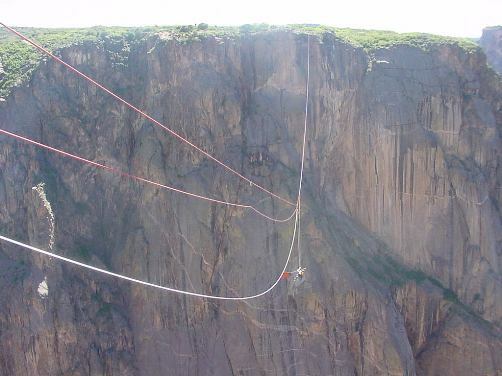 This typically involves a long highline or a larger multi-pitch objective down a sizeable piece of terrain. 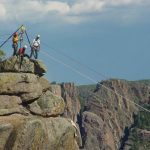 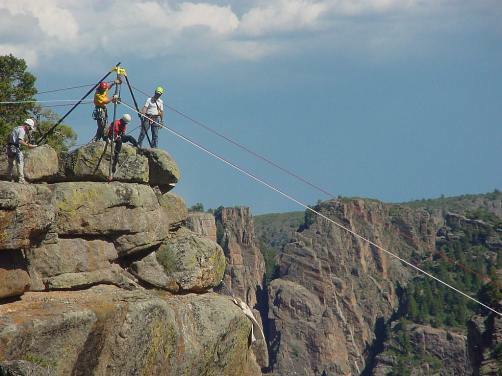 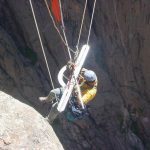 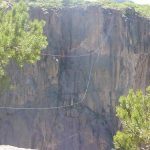 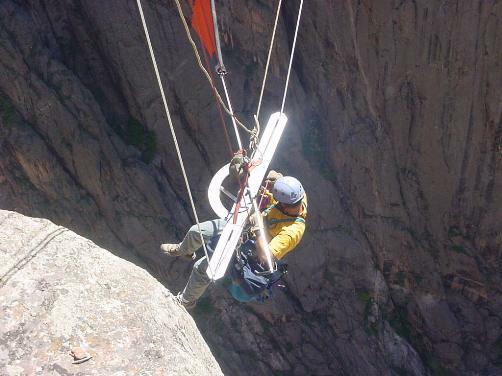 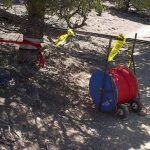 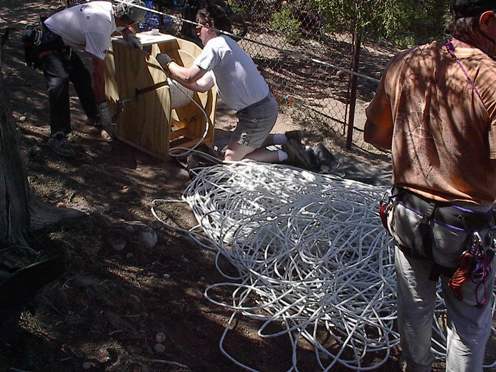 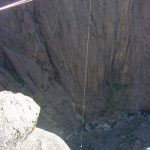 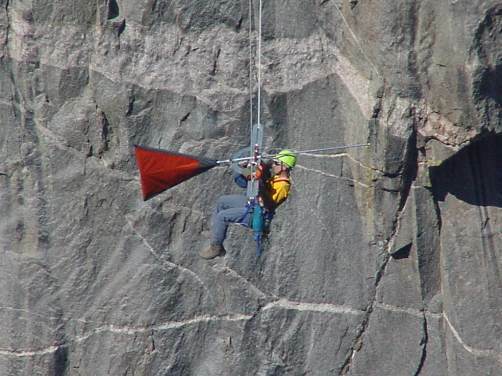 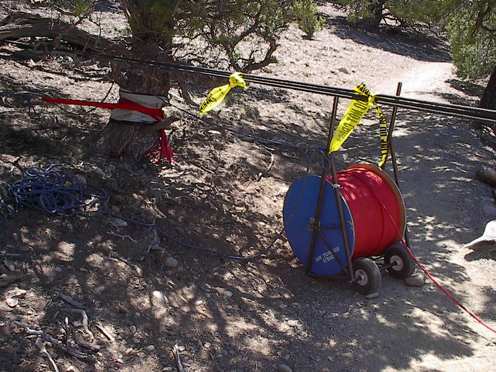 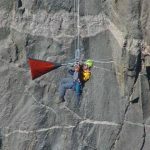 In May, 2002, we embarked on such a project with a Kootenay Highline System and Norwegian Reeve in the Black Canyon of the Gunnison National Park. 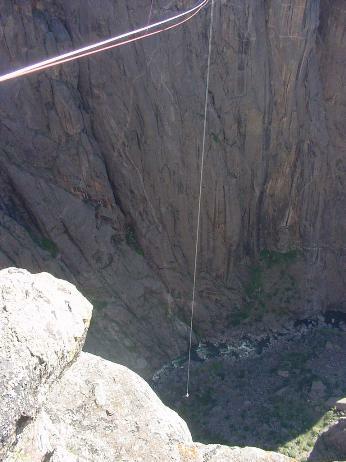 The highline spanned from South Chasm View to North Chasm View. 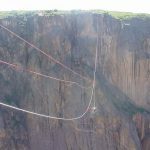 The total length of the span was 430 metres. 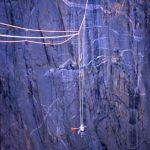 We completed a full Norwegian Reeve down to the canyon bottom – the depth of the reeve was 550 metres. 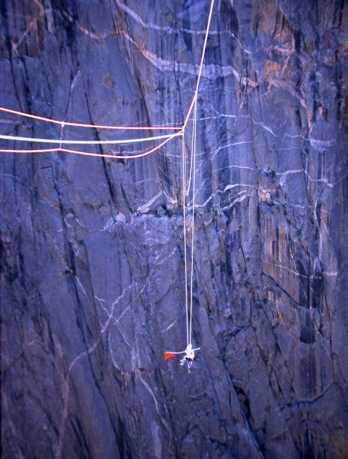 On the final iteration, the attendant made it round-trip from the end station to the canyon bottom and back in 67 minutes – quite a ride. 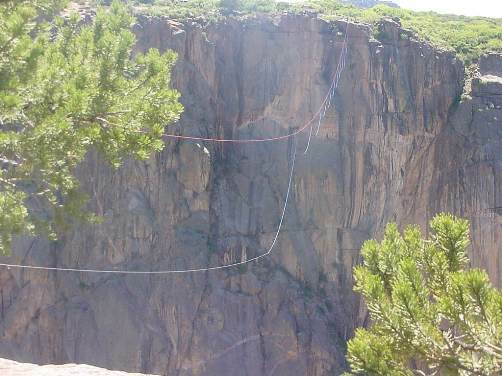 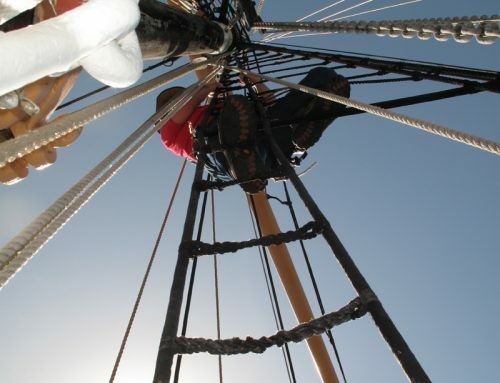 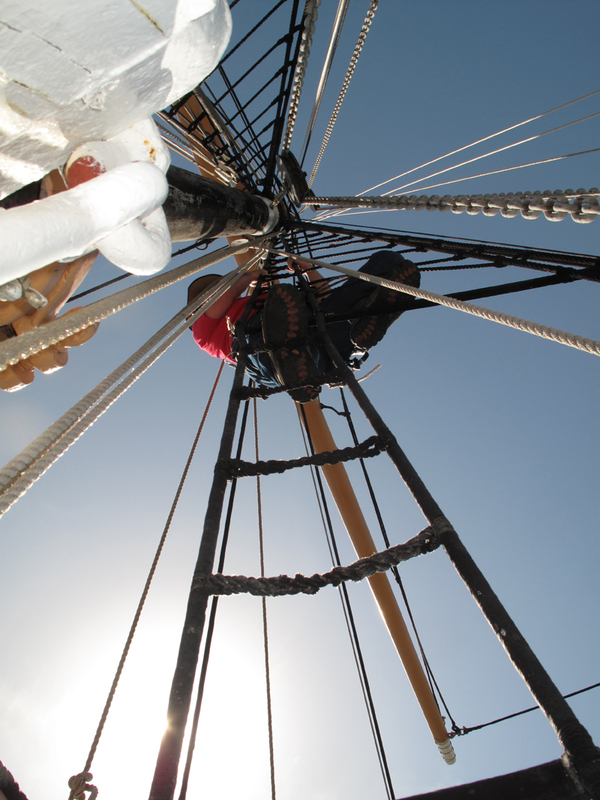 This particular highline project involved all kinds of rigging challenges, equipment organization, logistical considerations and contingency plans. 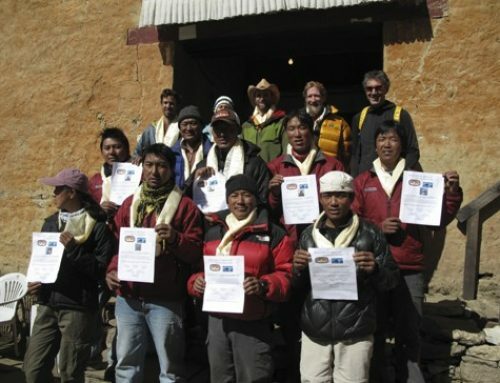 It was a superb training event.